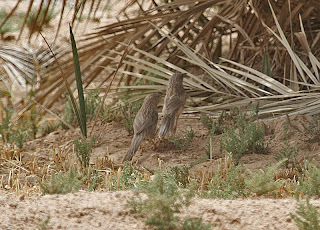 Common Babbler is anything but common, being found in small numbers at only a couple of locations in the Western Palearctic region. It was one of the Kuwait 'specialities' everyone wanted to see but proved far from easy. The bird can be found in the extensive Palm groves at Al Abdaly farms. 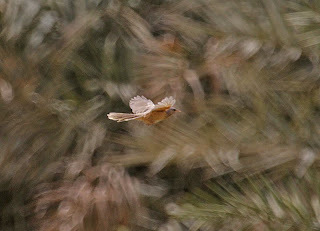 Despite intense searching there was no sight or sound of the birds on our first visit. We decided to give it another try at the end of the week. We were delayed by a last ditch attempt for Grey Hypocolius at Green Island, following up on a sighting by a couple of German birders. 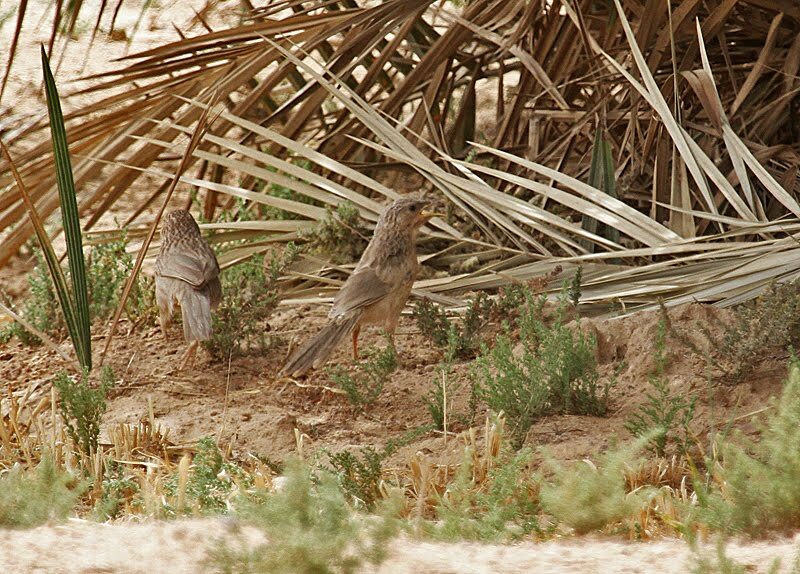 We dipped Hypocolius but we were now going to reach Abdaly farms in the heat of the day. It was hot, the thermometre in the vehicle read 45c. 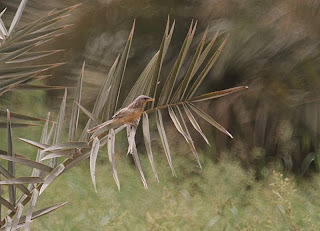 We trudged round the palm groves but only saw White cheeked Bulbuls and a Great Reed Warbler. Feeling quite dehydrated after a couple of fruitless circuits we made our way back to the vehicles for something to drink. I thought I was seeing a mirage when looking back down the road I saw what looked like somebody out of The Bridge over the river Kwai dancing up and down in the middle of the road. It turned out to be Bob Swann, who had clearly found the birds. We all did an about turn and headed towards him at differing speeds. I admit to breaking into a dignified brisk walk. While others rather let themselves down by running. 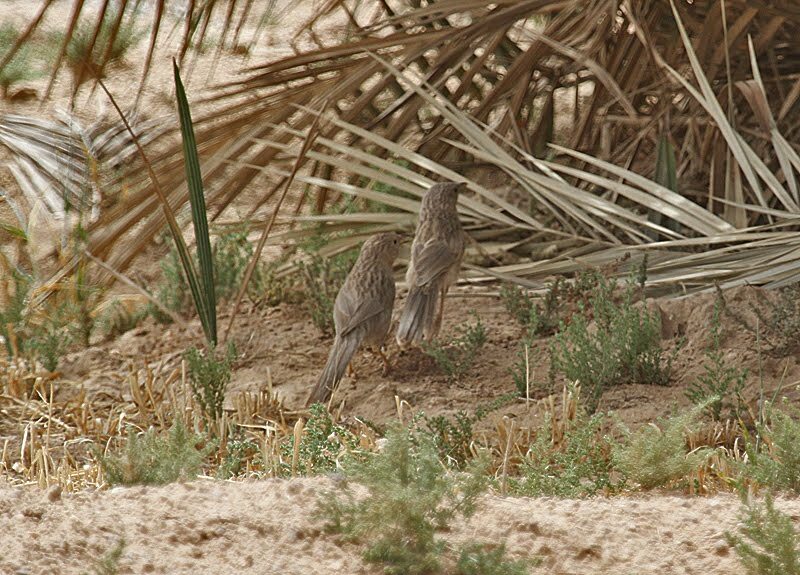 Anyway we all ended up in the same place and moved slowly between the Palms where they had been seen. 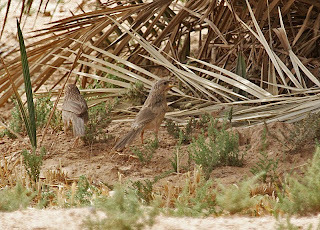 It wasnt too long before we saw the Babblers running from one Palm to the next. Many thanks to Bob for sticking with it.